This delicious dish works just as well with salmon as cod. Once you’ve made it, you’ll see the humble fish finger in a whole new light. These really are just fillet of cod cut into fingers. I normally take 4 x 6-8oz (175-225g) fillets and cut them in strips/fingers allowing 3 per portion. 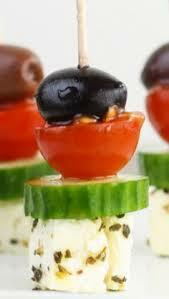 This recipe can also be used for canapés. Just cut the fish, cod or salmon (both work), into 1 in (2.5cm) cubes. Then crumb and deep-fry before sitting on cocktail sticks. These are good fun and very tasty with the sour tartare sauce. In a large bowl, mix ¾ of the freshly chopped parsley with the white breadcrumbs and the lemon zest. Season with salt and pepper. In a separate bowl, beat together the eggs and milk. Season the fish fingers with salt and pepper and then lightly dust with flour. Dip into the egg mix then into the crumb mix. These are now ready for frying or can be re-dipped in the egg and re-crumbed to give a thicker, crunchier finish. Set aside. To make a sour Tartare sauce to accompany the fish fingers, mix the chopped shallots, capers and gherkins with the remaining parsley and the sour cream. Season then add the lemon juice to taste. Pour into a small serving dish. Heat the oil to 170oC/325oF in a deep-fat fryer. The fish fingers can now be deep-fried in batches for 5 minutes or until golden brown and crispy. Serve with the homemade Tartare sauce. Ingredients: Oil for deep-frying; 8oz (225g) self-raising flour; salt and pepper; 5 fl oz (150ml) lager or beer; 1 black pudding; flour for dusting; lemon quarters and fresh parsley to garnish. Preheat the oil in a deep-fat fryer to 150oC/300oF. If you don’t have a fat fryer, the fritters can be cooked in 1 in (2.5cm) of fat in a deep frying pan. Do take care not to overheat the oil. To make the batter, sieve the self-raising flour into a large bowl, add a pinch of salt and pepper then whisk in the lager or beer. You should have a batter with a thick consistency. Cut the black pudding into ½ in (1cm) slices. Lightly dust the black pudding slices with flour, dip them in the batter and deep-fry until golden. They should take about 4-5 minutes in total. Halfway through the cooking time, turn the fritters. Remove them from the fryer and place them on kitchen paper to absorb any excess fat. Garnish with lemon quarters and fresh parsley. To make the tartare sauce, spoon the mayonnaise into a bowl. Add the chopped onion or shallot, parsley, capers and gherkin and mix thoroughly. Serve with the black pudding fritters. There are plenty of optional extras to sharpen and lift the flavour of the sauce. A teaspoon of horseradish cream, mustard or cayenne pepper will fire it up a treat.